Whopper's Bunker: Alien mothership photographed in Chile! Brigadier General “Whopper” Creedon, SPEARHEAD Assistant Director for Intelligence and Information informed reporters Friday that Gen. Ricardo Bermudez (Ret.) 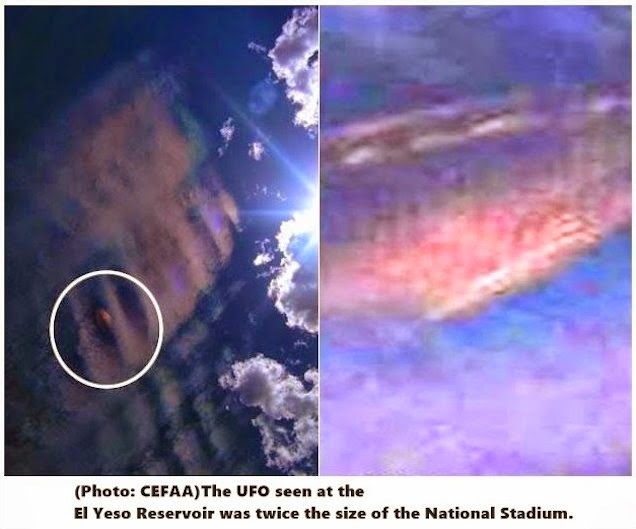 the director general of the Comité de Estudios de Fenómenos Aéreos Anomalos urgently contacted the SPEARHEAD field office in Santiago to report the findings of a couple who took a photograph of an aerial anomaly over a reservoir. Creedon explained that the report was given adequate analysis and investigation since March 20th, but ultimately it was considered to be insubstantial.